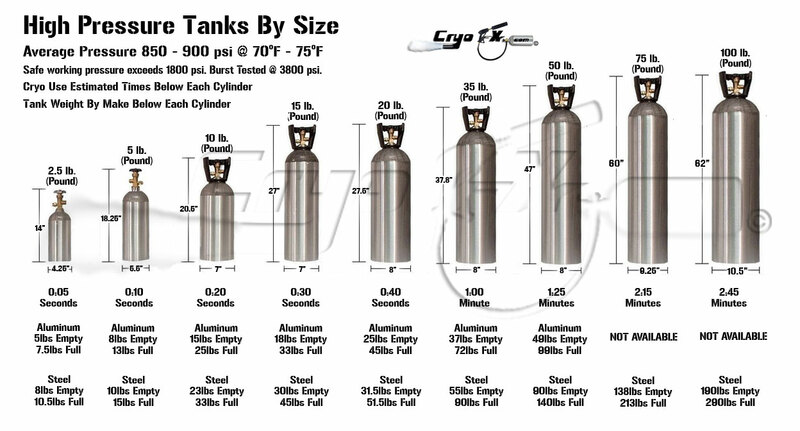 CryoFX® Co2 tanks or Co2 Cryo cylinders are a necessity for all your Co2 Stage Equipment. These CO2 tanks or Co2 Cylinders can be purchased in either steel or aluminum and can include siphon tubes or not. If you’re looking for a CO2 Tank or Co2 Cylinder big or small, we’ve got them all, including the following sizes in aluminum: 20lb Co2 Tank, 35lb Co2 Tank, 50lb Co2 Tank and the same in steel with the addition of: 75 lb Co2 Tank, 100 lb Co2 Tank, 135 lb Co2 Tank and more.